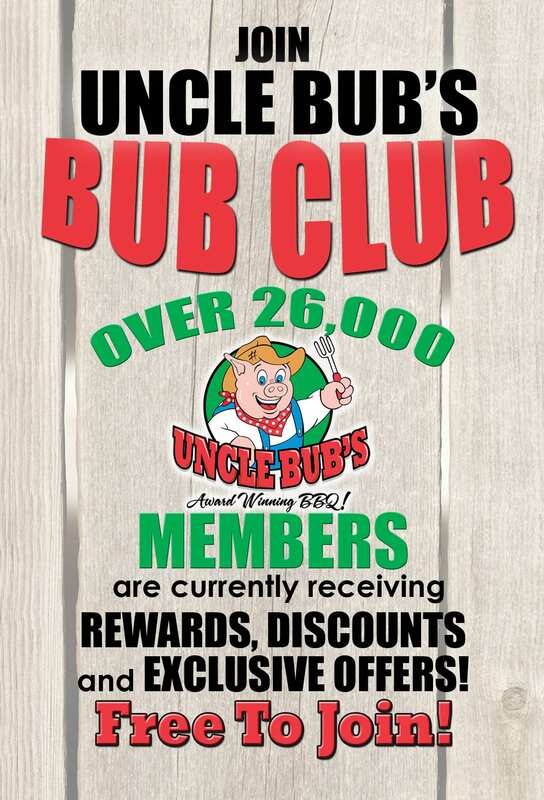 Don’t miss out on the savings thousands of Bub Club members are already receiving! This free of charge membership tracks every dollar you spend and emails you rewards for each “tier” level you reach. The higher the tier, the greater the rewards. Also, this is the best way to find out about Uncle Bub’s latest promotions. Sign up today to start “hogging” some of the rewards for yourself! * Your phone number is utilized as your account number and not for any other reason. We will not contact you via phone.